The Universal Studios Hollywood Halloweentime spectacular will unveil the horror classic (for the first time ever). 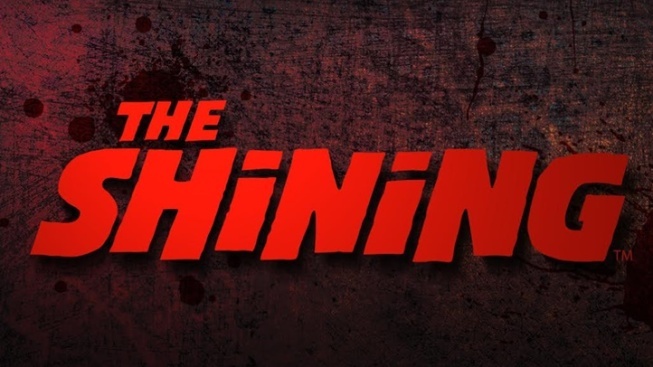 Halloween Horror Nights will feature a maze based on "The Shining." The maze aspect of the seasonal pop-up horror spectacular gets a lot of understandable play in popular culture. Consider the late-night comedy shows that send out (un)willing participants to scream their way through a haunted maze's twists. And ponder the horror aficionados who thoroughly review just how hair-raising the jumps around the next corner really are. We'll posit a theory that, while many mazes are generally a tad foreboding — which way is out??? — few artworks ratcheted up our maze-based fears like Stanley Kubrick's 1980 horror film classic, "The Shining." For while oodles of horror films that go on to become Halloween mazes don't actually have mazes in the story line, "The Shining" boasts two: The hedge maze and the cavernous hotel itself. You don't even need to pedal a Big Wheel down endless carpeted corridors to find an empty hotel's hallways atmospheric. Nor do you need to run through a snowy hedge maze by night to feel fully eek-a-fied by the experience. That eek-a-fying aspect to the Overlook Hotel, the fictional mountaintop lodge from Stephen King's nail-biter of a 1977 novel, will burst into the real world, for a few weeks, at least, at Universal Studios Hollywood this fall. How? "The Shining" will make its maze debut at the 2017 Halloween Horror Nights. Will you encounter Jack Torrance? Wendy and Danny? The Grady sisters? The REDRUM door? A particular typewriter with a stack of sentence-filled sheets nearby? Let the eek-a-fying aspects commence months ahead of the Halloween extravaganza's mid-September opening. This is the first maze reveal of the upcoming Halloween Horror Nights, but expect several more in the weeks to come, as is tradition. But another tradition will come to an end: Many Halloween Horror Nights fans have asked, over the years, for "The Shining" to be included in the yearly spooky spectacular, so call this a major request fulfilled. Of course, scare-seeking Southern Californians have been primed for just this maze reveal for a half decade now, thanks to the mondo Stanley Kubrick exhibition that opened at the Los Angeles County Museum of Art back in the autumn of 2012. The blue-dress costumes worn by the Grady sisters appeared in the extensive show, as well as several behind-the-scenes photographs of the movie's making-of. Did that 2012-2013 Miracle Mile exhibition prepare you for to take on an Overlook-like world one day, far in the future, on a hill in Universal City, in 2017? Like a blizzard hitting the peaks of Colorado, fans of the film had to believe that, one day, the forecast would call for "The Shining" to finally call upon Halloween Horror Nights.